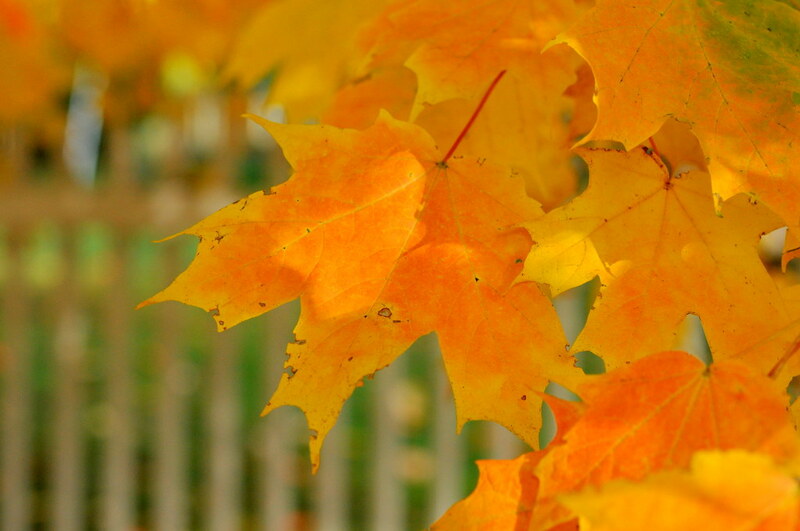 Hope you don’t mind if I linger with autumn a little longer. I’m just not ready for snow, ice and cold. Fortunately, it’s been unusually warm for this time of year. . . . 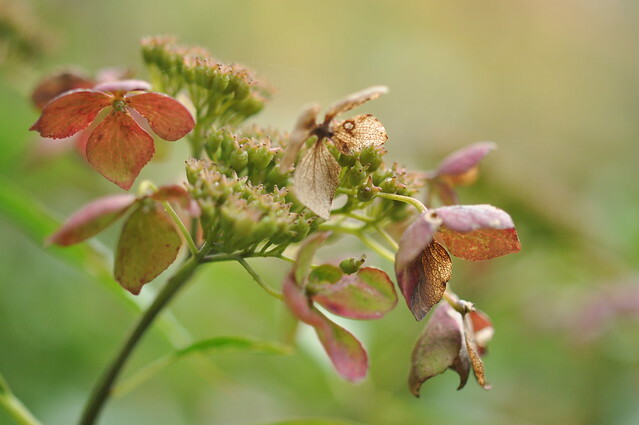 The remnants of a lacecap hydrangea. This entry was posted in photography and tagged autumn leaves, e. e. cummings, fence, lacecap hydrangea, maples. Bookmark the permalink. How nice to look back at autumn one more time. In photograph 3, the orangeish color is a very, very warm ^color^ — yet I get the impression it was probably a cool, if not cold, day. (Those WordPress-imposed snowflakes don’t help!) Dissonance. Oh well. Thanks as always, Ms. Pearl. 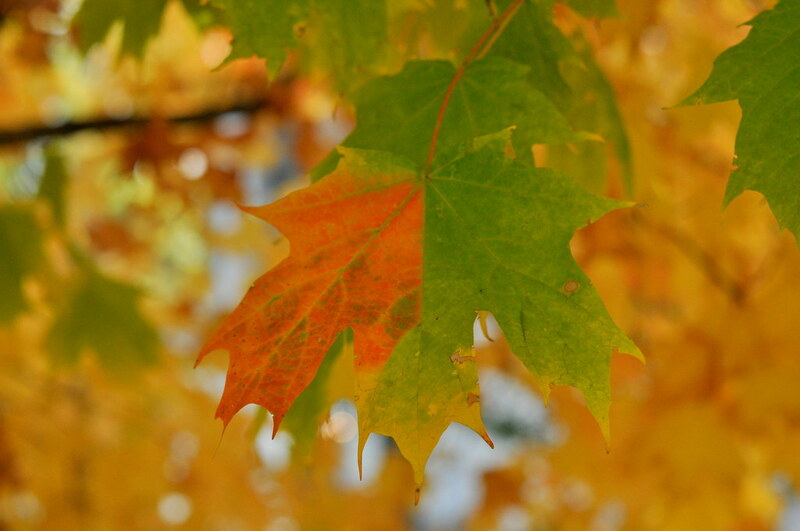 Fascinated by the two-tone leave … great shots, Carole! Thanks, Cheryl. I like the “two-tones” too. Autumn is really gone but we had thunder and lightning and such heavy rain today. Something we do never get in winter. I should read more e.e. cummings. The first shot looks as if the leaf was half in summer and half in autumn. Every time I see an e. e. cummings quote I say the same thing. This time I’m going to buy a book of his poetry. Carole, after looking at your photographs and reading the words you add to your posts, I feel as if I have just had a moment of peace in which I prayed. Thank you for that gift that you share with me and others. Meg, your comment brought tears to my eyes. Thank you so very much. Love the photos and thanks for sharing the quote! Thank you. It’s a favorite quote.